Here is your detailed April 13-late May update. It will turn cloudy tonight with widespread rainfall moving in with a rapid increase in the wind from the northeast. It will turn into a noisy night & morning with northeast winds 25-45 mph (few isolated gusts to 50 mph cannot be ruled out) slamming that heavy rainfall against the north & east sides of homes. Some embedded thunder & lightning is possible with temperatures of 37-44. Wind chills will be in the 20s & 30s. Watch for ponding on roads & for hydroplaning in the sheets of heavy rain with the wind. It will be just an awful, nasty, cold night & morning. Note the band of wind-driven snow northwest of our area. A few flakes &/or sleet may briefly mix in during the morning (even with some potential thunder & lightning) over Newton & Jasper counties. The heaviest rainfall with any thunder & lightning & the highest winds should depart by midday-afternoon. However, it will still be rainy & awful with northeast winds going north then north-northwest at 20-40 mph. Snow will mix in at times & part of the area may go to all snow for a while Monday evening-early overnight. If there would be any sort of accumulation, it would be brief, localized, light & on an elevated surface. Highs Sunday will only run near 40 to the mid 40s. We should fall into the 30s in the evening wind chills in the 20s. Total rainfall of 0.80-1.40" is likely, which will waterlog & pond fields & yards. If we can clear the sky Sunday night-early Monday morning, we are looking at lows of 27-32 as the wind diminish. I am going with 29-34 for the viewing area as a whole right now. Note how far south the frost & freezing get. 30s could get to Louisiana with potential of 32 to western Kentucky & Tennessee. Cold front will surge back northward as a warm front Monday as strong storm system takes shape well west of us. Clouds will increase Monday as a result with highs of 48-56 (54 Greater Lafayette). 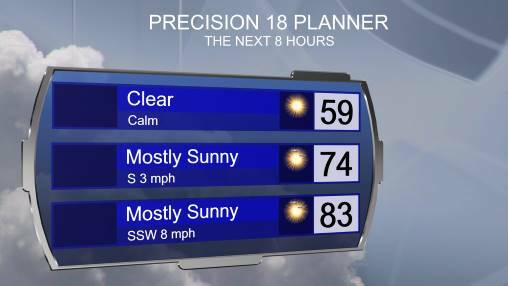 After a northwest wind at 5-12 mph in the morning, winds will be light & variable in the afternoon. Temperatures won't fall much Monday night, followed by a windy, warm Tuesday with highs of 66-75. The coolest readings will be in Pulaski & Fulton counties where the warm front will be the last to arrive. It should warm to around 73 in Greater Lafayette. A wave or two of some scattered showers & an isolated t'storm or two are possible Wednesday with mostly cloudy skies, southerly winds & highs 68-73 after 50s in the morning. Wednesday evening-night looks dry until the leftovers of a severe weather outbreak to our west pass through overnight-Thursday morning. A couple/few isolated severe t'storms cannot be ruled out. A break should ensue for Thursday mid morning to early afternoon. Then, it appears, a new round of t'storms should develop with severe risk here. More details will be coming as new data streams in, but given the shear, dynamics, lift, forecasted instability, plume of 60s dew points (see below) wind, tornado & hail risk are on the table. Magnitude is in question, however. Also the exact mesoscale details such as exact timing, etc. are blurry so far out. Burst of much cooler air will follow. Next Friday continues to go downhill with potential there for temperatures falling into the 40s with strong northwest winds & showers all day as the core of the occluding upper low pivots over. 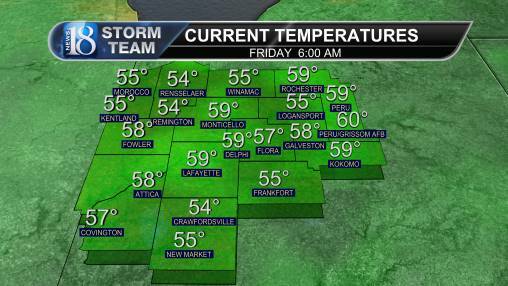 Patchy frost is possible next weekend with highs 50s & 60s, then it is much warmer. Actually, Easter Sunday looks pretty good with a southwest wind kicking in, sunshine & highs 62-67 after 30s in the morning. With 70s & 80s, there will be multiple opportunities for severe risk days April 22-May 5. Rainfall will be run near to above normal. May 6-16 looks cooler, more stable & drier. A few nights may dip to 36-43 over the viewing area. Rainfall will run below normal. There may be a random cool-core, strong upper system that pivots in from the northwest with some severe risk, but the main corridor will be the Plains to Mid- & Lower-Mississippi Valley. Lots of warmth, humidity (warmest weather & highest dew points of the year) & severe risk should return after May 17. For farmers, there will likely be a window for patchy fieldwork in that late April to early May period. Longer, better stretch should exist in the that drier, cooler period in May.